Cal Cox grew up in Seneca, South Carolina and received his Bachelor of Science from Clemson University in 1964. He served in the Army Corps of Engineers/Special Forces for seven years and is a veteran of the Vietnam War. Cal worked in the construction industry for 36 years and founded Calcon Constructors in 1981 in Denver, Colorado. Throughout the years, Cal served as the President of the Associated General Contractors of Colorado, as well as on numerous boards and committees. Jim graduated with distinction from Iowa State University with a Bachelor of Science in Construction Engineering. Jim co-founded Calcon Constructors in 1981 and currently serves as Chief Executive Officer. He is involved in all business aspects, including marketing, estimating, project management and office management. Jim is very involved in the industry; he has served on many committees, including a position as Executive Committee Board of Directors for the Associated General Contractors of Colorado. Joe, who received his education from Colorado State University, has been with Calcon since 1982, and currently serves as the company’s President. Joe is responsible for all business aspects, including: marketing, estimating, project management and field management. He remains very active in the construction industry, and has held positions as the Chairman of Colorado Neurological Institute, Chairman of the Board for Southwest Family YMCA and as the past President of the Construction Industry Training Council. Presently, Joe sits on the board of AGC Colorado and is a member of the National Western Stock Show. When not in the office, Joe enjoys golfing, skiing, cycling and traveling. Jim Kohler, whose experience encompasses both architecture and construction, joined the Calcon Team in 1994. He graduated from Virginia Tech with a Bachelor of Architecture and a Master’s of Science in Construction Management. He is a Vice President and a stockholder, and also serves as a Senior Project Manager and Estimator. He has been involved with some of Calcon’s more notable projects and is an active member of the Association of General Contractors. When not in the office, Jim loves ski racing, dirt biking and cycling. Brian has been with Calcon since 1999 and is currently a Vice President of the company. He is a proud CSU alumnus and graduated with a Bachelor’s degree in Construction Management. With over 20 years of experience in Project Management, Brian is a vital asset to Calcon’s customers and vendors. Brian has completed many notable projects for Calcon in the retail, technical, healthcare and mixed-use categories. He is LEED AP certified and a Certified Healthcare Constructor. In his free time, Brian enjoys golf, the outdoors and spending family time with his wife and twin girls. Jeff joined Calcon in 2007 and is currently a Vice President of the company. He has a Bachelor’s degree in Construction Management from CSU and brings 19 years of Project Management experience to the table. Jeff has completed many of Calcon’s most notable builds in the healthcare industry, including: specialty medical facilities, medical office buildings and hospitals. Jeff is a LEED Green Associate, Certified Healthcare Constructor and a member of CAHED and ASHE. When not at work, Jeff enjoys time with his wife and two girls. Jim joined the Calcon family in 1986 and has been in involved in many of our most notable builds. Jim graduated from Colorado State University with a Bachelor of Science degree in Industrial Construction Management. Jim presently serves as Treasurer and on the Board of Directors for the Construction Industry Training Council (CITC), which offers apprenticeship programs for the construction trades. He is also a member of the American Society for Healthcare Engineering and has received their Healthcare Contractor’s Certificate. He has served as an instructor for a project management class offered by Associated General Contractors. When not in the office, Jim enjoys the outdoors, his family and his ever growing motorcycle collection. 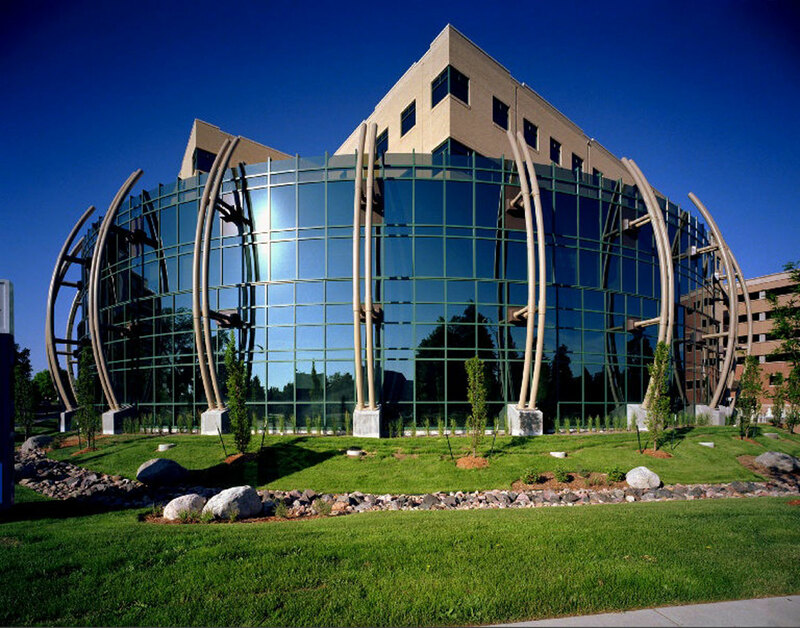 This building is the premier medical office on the Rose Founders campus. With multiple entry points for easy patient access, unique architectural features and the latest in energy efficient building systems, Rose Founders is a benchmark for high-end medical office space. Let’s build a better Colorado together. Contact the Colorado construction experts at Calcon today to turn your construction dream into a reality.